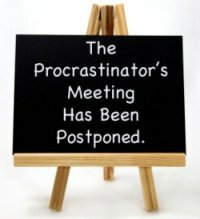 Most of us procrastinate at one time or another. Statistics vary widely, but some of the numbers suggest 95% of us are occasional offenders, with habitual procrastination possibly affecting about 20% of the population. Procrastinating behavior is characterized as delaying, needless, and detrimental. Purposeful, needed, or desired action is delayed despite expecting negative results due to the delay. 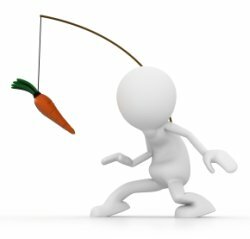 We can summarize procrastination as the decision to delay action with the clear expectation that the delay will negatively impact desired outcomes. This irrational choice can delay needed decisions as well as actions required for successful decision implementation, negatively impacting a decision before and after it is made. What does this tell us? Emotions are clearly influencing decision making. Feelings of fear, doubt and uncertainty are evident in the listed causes. Lack, an expression of unmet need, is also heavily represented. Although emotions are negatively impacting the choice to act, they are providing information. What decisions could provide the missing knowledge that will overcome or reduce the emotions preventing effective action? Many of the causes of procrastination point to possible missing or unresolved decisions. Starting at the top left side of the personal decision making network (green or "guiding" decisions), missing decisions for vision, mission, and core beliefs could provide the knowledge needed to address the lack of motivation or lack of hope. These choices can inspire action by providing the knowledge of personal purpose, direction, and possible favorable future outcomes and benefits that outweigh the perceived costs of current action, including boredom. Identity choices can help address perceived lack of talent or ability by finding the personality characteristics and aptitudes that make us unique. Choices for vocation, career, and job can provide the knowledge of skills and training that will address felt deficiencies. Procrastination on needed work tasks can often point to the need for a career change decision. Choosing core values can identify where balance may be missing. Emotions driving procrastination can be signaling that current activity and choices are preventing valuable action in other areas important to life, including rest and diversion. Relationship priorities might also be suffering, providing incentive to understand the feelings causing delayed action. 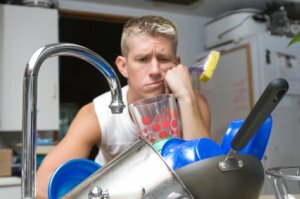 Habitual procrastination could be pointing to more deep-seated issues where seeking counsel and help may be the needed decision. Overcoming procrastination ultimately does require a rational choice, and it could be to make the missing related decision that is driving the emotions that lead to irrational behavior. Preventing procrastination is overcoming procrastination in advance. Making decisions is often a key area for procrastination and is a good place to focus prevention efforts. Continuing with our focus on decision making, here are some ideas that can aid in avoiding delayed action or choice. Set aside time to reflect and work through your life decisions. The self knowledge that comes from these choices can reduce fear, uncertainty, and doubt that can cause procrastination. Take notice of emotions negatively impacting decisions. They can be signaling the need for a decision that could prevent later inaction. Build your decision making skills that will aid in identifying, making and implementing needed decisions. Know your values and seek to maintain balance as unmet needs can lead to procrastination. Find ways to measure progress and provide rewards. Positive feelings of accomplishment and achievement can motivate work on challenging tasks. Choose relationships that support accountability. We can all use help in getting things done. Overcoming procrastination is choosing to make a better decision. Next time you are procrastinating, look for the missing decision.